The mission of Sisters around the world has always been recognised because of its positive impact on the lives of the people they help. Religious Sisters support the Church in so many different ways – they are one of the main source of education, healthcare and other charitable work in many poor communities. For example, Sister Roberta, the rector of the Catholic primary school in the Diocese of Gamboma, D.R. Congo and her team of Sisters play an invaluable role in their community. They have to help the children prepare for school every morning and give them breakfast because their families are too poor to look after them. 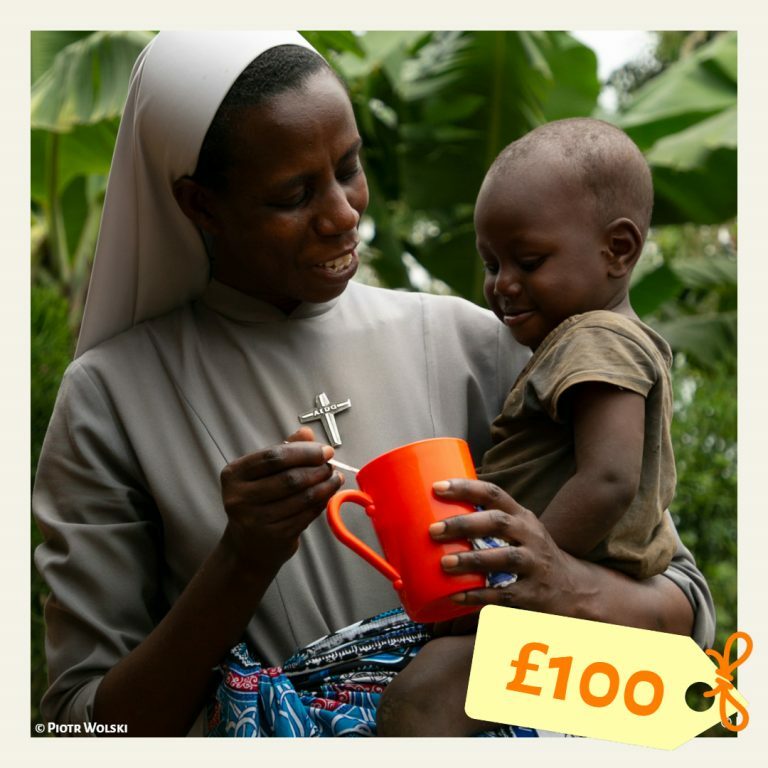 Your gift will help support these Sisters, and others like them, for 3 months as they dedicate their lives to helping suffering communities.